In all of these countries I've stayed for at least one night. But then I don't think I could add any country where I've only travelled through anyway. 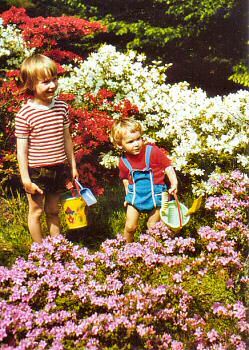 Two little gardeners in the Rhododendronpark in Bremen/Germany. The author (aged 5 in this picture) and his sister (3 years younger, you can do the maths).